The season is changing and I have changed my face cream to accommodate for the shift in weather. 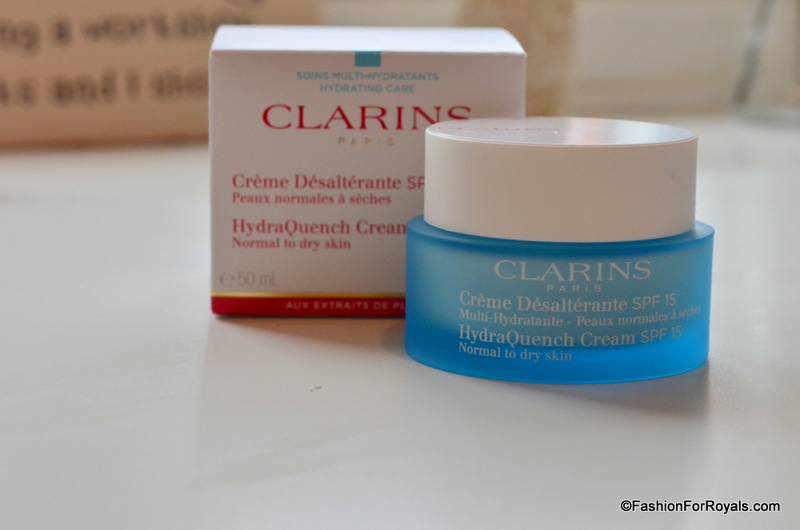 I had been planning to buy Clarins Hydraquench for a long time but it doesn’t sit easy on pocket. But this time I gave in to the temptation and well, it was worth the wait! Clarins is one of my go-to brands for skin care products and you might find me talking about them on and off, quite freqeuntly. The cream I am using is for Normal to Dry Skin with SPF 15, and you would know from my previous posts that I do prefer products to have SPF because I tan and burn too easily. On the box it says this lightweight cream offers effective UV protection and was specifically formulated to provide a softer, more radiant finish for those with normal to dry skin. Katafray bark extract and hyaluronic acid help maintain an optimal level of hydration while Sorbier bud extract helps restore a fresher looking appearance. In my opinion, it’s a light weight cream which is very good for the “in-between” autumn/fall weather; we will have to see what I get for winters soon. 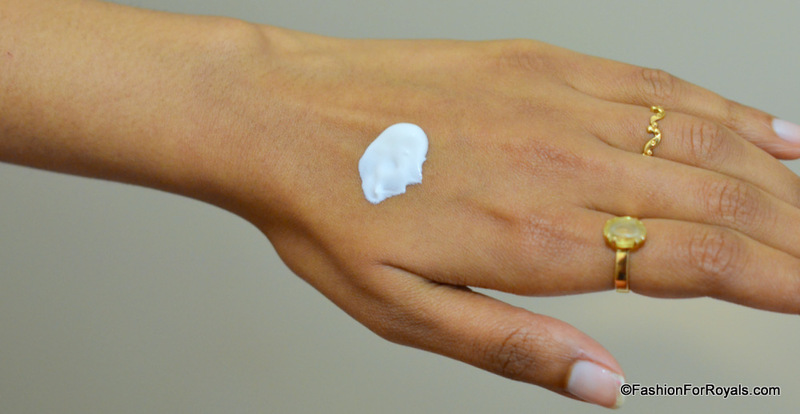 The absorption of the cream is also very good and it doesn’t sit heavy on your face like some of the cheaper creams out there. The problem with those is that you can’t wear them underneath makeup whereas you can wear this cream under other products without feeling any heaviness. I wasn’t expecting to see any noticeable difference in my skin… But my skin does actually feel significantly softer. 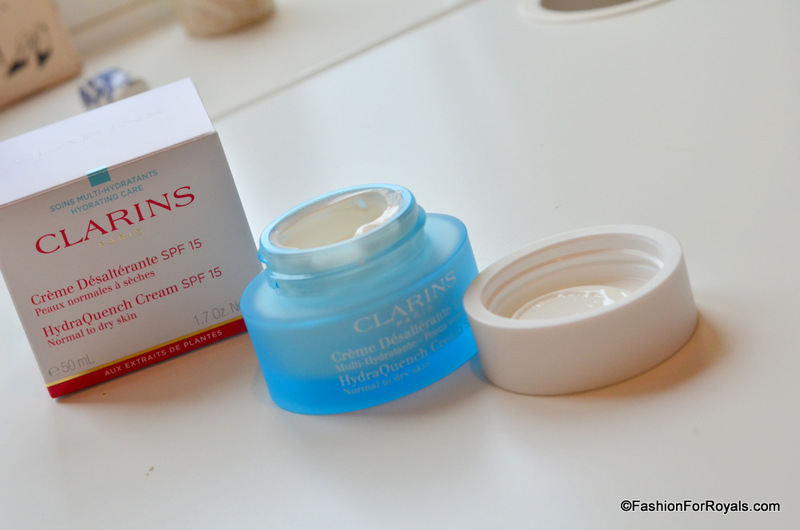 I noticed it more so after using it for few days (I never post a review on a product unless I have tested that product on myself for a good amount of time)s. Also, the cream has a mild fragrance which is the case with most of Clarins’ products. This could be a problem if you don’t like your products to have a distinctive smell, but I liked it so it works for me. One thing I feel I need to highlight is that he cream pot is thick glass, so it’s really heavy, and totally impractical for travelling. But it does look very chic on the dressing table. The hydraquench range has many more products to try for different skin types from creams to masks and gels. I am definitely going try some more very soon. Have you tried any of the products in HydraQuench Range? Whats your take on the products, specially the cream? Let me know in the comments!